Paper & Gifts for the celebrators of life! Welcome to our Crazy & Creative little webspace. 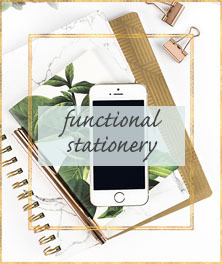 We believe that stationery should be love at first sight and should add joy to everyday life. We are a team of creative enthusiasts, dedicated to designing custom invitations, stationery and desk accessories with personality and style.